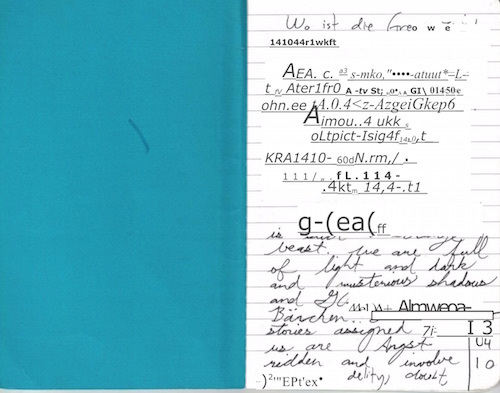 We got a fancy new scanner that attempted to convert my awkward 2010 Denglish journal entries into machine-encoded text. This was the result. Next time I get stuck writing, maybe I’ll feed my notes through this thing for inspiration.